The value it adds to the life of ordinary people who benefit from work opportunities, training and exposure, cannot be overstated. SANRAL is incredibly proud of the legacy it leaves in this West Coast town, where many people can access further developmental opportunities with the skills and knowledge, they have acquired during the time spent working on this project. 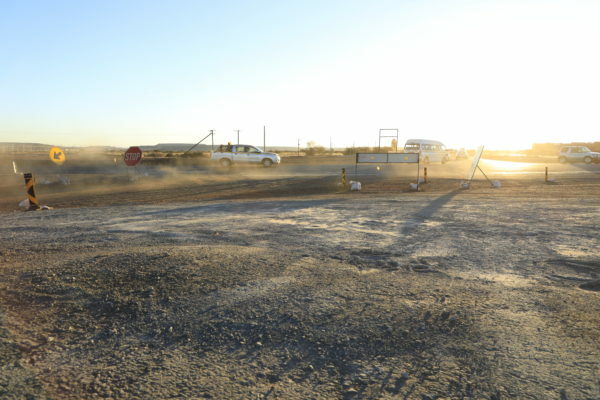 The Hopefield Interchange is designed to link the R45 to the new N7, with a focus on safer access and increased capacity of the road, given the continuous expansion and development of the surrounding towns. A project of this complexity does not go unchallenged. “For the first year, a large amount of time was spent removing roughly 350 000m³ of clay soil to accommodate the roads underneath the bridges,” said Marius Matthee, Construction Manager for the contractor, Triamic Construction. This upgrade started in January 2017, comes at a cost of R334-million and is due for completion in July 2019. “I am deeply grateful for the opportunity to learn and earn a living. This project has given me a sense of pride because I can now pay my own way in life,” said Lawrence Gashez, a local resident who has been trained to do steel fixing on the site. Yolanda Makhubalo, from Malmesbury is one of the youths identified for learnerships on the project and after having aced the theory she is making her presence known on site, demonstrating a passionate hunger to learn from the experts. The video link to this project can be found here.